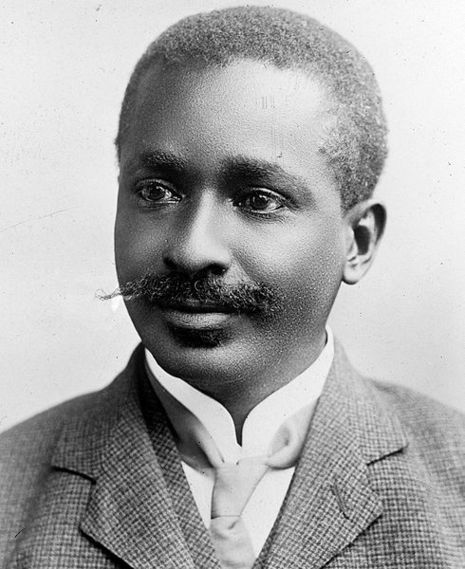 At the outbreak of World War I, President Howard attempted to maintain the country's neutrality, though he tended to support the Allies, whose colonial territories in Africa surrounded Liberia. World War I resulted in the trade between Liberia and Britain, France and the United States being reduced to almost zero due to the German submarine blockade. Income from customs revenue was disrupted, when Germany, Liberia's major trading partner, withdrew from Liberia. This situation forced Liberia to postpone payment on the $1.7 million loan, and led President Daniel E. Howard to seek a $5 million loan from the Woodrow Wilson Administration. This attempt had a quicksand effect. The United States Congress refused to approve the loan. Despite German protests, Howard allowed the French to operate a wireless station in the capital, Monrovia. Realizing that their complaints were in vain, the Germans sent a submarine to attack the city in 1917, forcing the reluctant Howard to side with the Allies and declare war on Germany on January 12, 1918. Liberia then liquidated the property of German nationals in Liberia. The money generated from this liquidation was deposited into the Liberian government bank account to compensate for loss of revenue from the blockade. 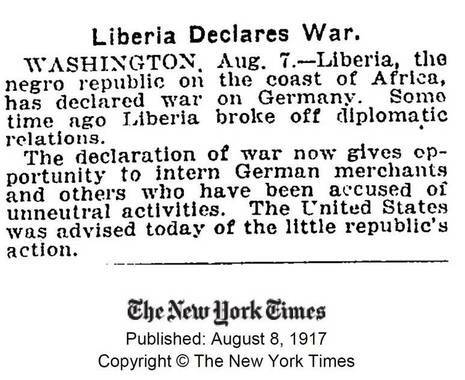 The war ended in 1918, and Liberia's Legislature ratified the Treaty of Versailles. World War I (abbreviated as WW-I, WWI, or WW1), also known as the First World War, the Great War, the World War (prior to the outbreak of the Second World War), and the War to End All Wars, was a global military conflict which involved most of the world's great powers, assembled in two opposing alliances: the Allies of World War I centred around the Triple Entente and the Central Powers, centred around the Triple Alliance. More than 70 million military personnel were mobilized in one of the largest wars in history. More than 15 million people were killed, making it one of the deadliest conflicts in history. During the conflict, the industrial and scientific capabilities of the main combatants were entirely devoted to the war effort.